To purchase a printed copy, please visit here. 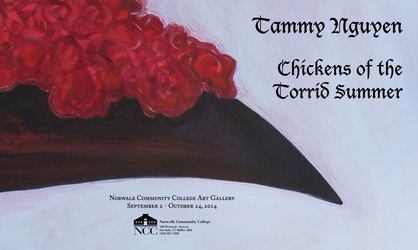 "Chickens of the Torrid Summer," is a solo exhibition of paintings and prints at the Norwalk Community College Art Gallery, Norwalk, CT. This catalog includes images and details of all works, and also an essay by artist, writer, and naturalist James Prosek. Curated by Susan Hardesty.